Circular Economy – Reducing Symptoms or Radical Change? In this article, we address why our management of the economy, community and business has led to global warming and we discuss the importance of worldviews, ontology, epistemology and axiology in the search for alternative paths of development. We do this by focusing on the concept of Circular Economy. Circular Economy is often presented as a solution to the problems of a globalized economy in the form of over-exploitation of resources, climate change and pollution of the environment. Within the mainstream economics paradigm, the aim is how to increase the effectiveness of resource extraction and utilization in order to maintain growth. We contrast this with the paradigm of Ecological Economics where the goal of the economy is to achieve and secure a higher quality of life. Circular Economy often side steps the deep ontological and epistemological questions we need to answer if we are to address the complex and interrelated environmental, economic and social problems we face today. This can be a limiting factor in the search for creative and long-term solutions. However, within the Circular Economy discourse, we find strands that critically engage with the foundations of mainstream Economics and so, innovative solutions for the society of the future are a possibility. We argue that to bring about a lasting solution to the interconnected social, economic and environmental problems, Circular Economy must engage with the ontological, epistemological and axiological foundations of mainstream economics. To further this argument, we apply Imre Lakatos’ ‘research program’ model to philosophy of science as our framework of analysis and draw lessons for business and communities. Pena-López, José Atilano, José Manuel Sánchez-Santos, and Matías Membiela-Pollán. 2017. 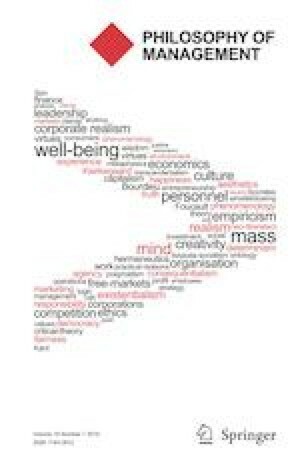 Individual social capital and subjective wellbeing: The relational goods. Journal of Happiness Studies. https://doi.org/10.1007/s10902-016-9753-x. Rockström, Johan, Will Steffen, Kevin Noone, Åsa Persson, F. Stuart Chapin III, Eric F. Lambin, Timothy M. Lenton et al. 2009. A safe operating space for humanity. Nature 461 (7263):472. https://doi.org/10.1038/461472a. Schlaile, Michael P., Sophie Urmetzer, Vincent Blok, Allan Dahl Andersen, Job Timmermans, Matthias Mueller, Jan Fagerberg, and Andreas Pyka. 2017. Innovation Systems for Transformations towards Sustainability? Taking the Normative Dimension Seriously. 9(12). https://doi.org/10.3390/su9122253. The Guardian. 2018. The EU needs a stability and wellbeing pact, not more growth. Letters. https://www.theguardian.com/politics/2018/sep/16/the-eu-needs-a-stability-and-wellbeing-pact-not-more-growth. Accessed 10 October 2018.